We are all blissfully happy. 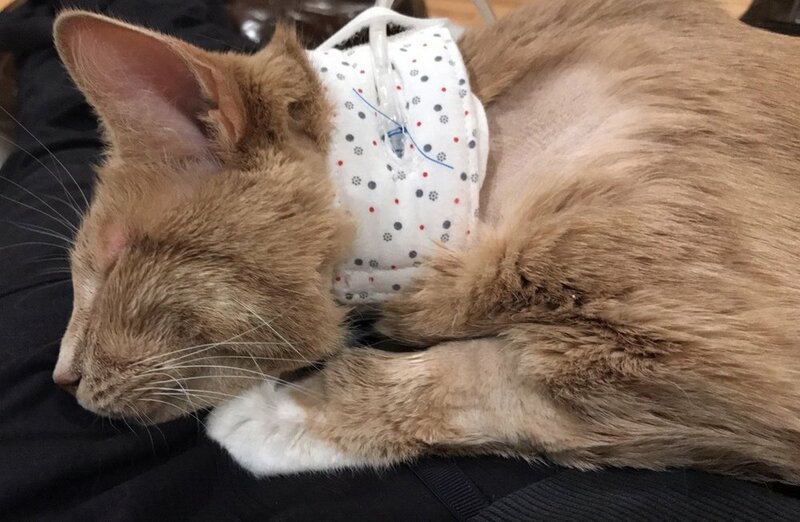 Nutmeg is home and is doing SO well. He walked in, toured the house, ate four bowls of food, groomed his paws, and snuggled with me on the couch. You can tell he is exhausted but happy to be home. The team at Friendship Hospital for Animals took such good care of him, and we are forever grateful! Off to bed now, but a few beauty shots of my guy.